Home Minister P Chidambaram charged the RSS with being behind Baba Ramdev’s anti-corruption campaign, saying the Sangh fountainhead had decided to support anyone raising the corruption issue. “I think you should know who is behind Baba Ramdev. Go back to March 2011. At a meeting at Puthur in Karnataka, the Akhil Bhatiya Pratinidhi Sabha, which is the apex body of the RSS, decided to support all organisations and individuals that will raise the fight against corruption,” he said in an interview to Doordarshan.The Home Minister said on April two, the RSS had announced the formation of an anti-corruption front in which Baba Ramdev is the patron. 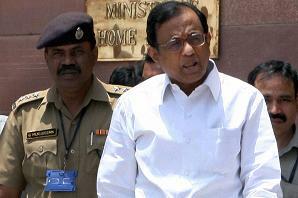 Chidambaram said a section of media was engaged in “competitive populist coverage” of the protests movement of Anna Hazare, Baba Ramdev and others and maintained that it undermined parliamentary democracy. “I think sections of the media, for reasons which I can’t spell out, are engaged in competitive populist coverage of these movements. This undermines parliamentary democracy,” he said. The Home Minister said he supported the civil society speaking against corruption by raising their voice. “But I don’t support elected representatives yielding their obligations and responsibilities to civil society representatives. Let us remember that the foundation of this country is parliamentary democracy,” he said.